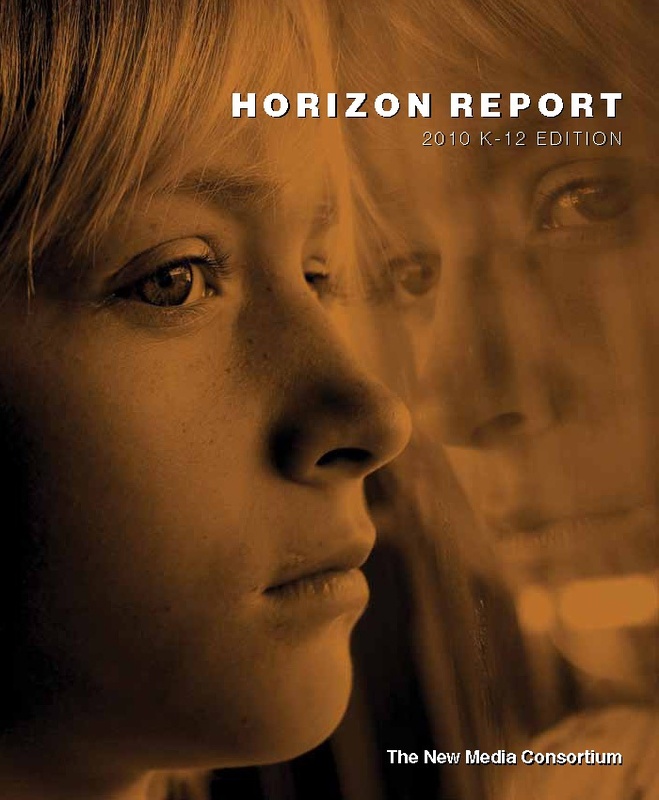 I was honored to be on the Advisory Board for the just released K-12 Horizon Report 2010. The report details emerging technologies over the next 5 years. Technology is a means of empowering students, of communicating and socialising. Young people use it as their way of staying in touch and also use it to control their learning. Technology gives students a public voice and a way of reaching beyond the classroom. Technology affects the way we work, collaborate, communicate and succeed. The digital divide is now a factor of education not of wealth. Creativity and innovation are becoming increasingly important. Schools must design learning to give students these experiences in order for them to succeed after leaving formal education. Just-in-time, online learning and independent study are becoming more important. Learning environments are changing and becoming more community-driven, interdisciplinary and use technologies for communication and collaboration. Digital media literacy is important, but absent from teacher education and professional development. Digital literacy is not about the tools, skills and standards but about thinking. Education is changing only slowly - it needs to shift to become more learner-centered. Assessment must change along with teaching methods, tools and materials. There is little agreement as to what a new model of education might look like. Many learning activities take place outside the classroom. There is a great potential for using online resources, games and social networks. These real life experiences need to be incorporated into what is happening in the classroom. Without real life experiences, students feel little connection between their lives and their schooling. I also encourage you to read Maggie Hos-McGrane, ICT teacher at ISZL. She writes "Tech Transformations and her blog post about the Horizon Report K-12. The challenge for us as educators is to work out how to use this invaluable information for our technology planning and for embedding skills and concepts into our curriculum. As one response I am using this K-12 2010 Horizon Report to inform a global collaboration between my Grade 9 class and the class of colleagues Phil Macoun (Canada) and Robert Thorn (Switzerland). Called "A Day in the Life...." we are encouraging students to consider how these emerging technologies have and will impact their personal lives, school/study lives and also the lives of the parents or older people at work. The project is in its early days, however we want students to envision the future and create a multimedia response in the form of a story.